Mission Texas is an international gateway with world-class infrastructure connecting many businesses to local, international and global communities. Ranked as the 4th growing metropolitan area in the U.S. with a growth rate of 48.5% in ten years (1990-2000) according to the U.S. Census. Citrus and other agricultural products play a very important role in its economy. Our tropical and friendly ambiance draws 25,000 Winter Texans every year. Mission is also home of 4 fabulous golf courses to enjoy. The Mission CISD and Sharyland are two of the top school systems in South Texas. Home of the legendary Tom Landry, football coach for Dallas Cowboys, and New York Giants. Visitors enjoy the mural on Conway Ave. and Tom Landry every year. 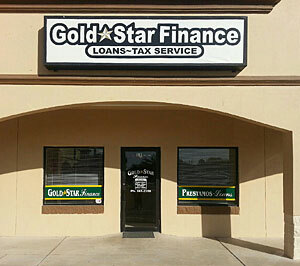 Gold Star Finance is proud to be a part of the Mission community, approving short term consumer loans within the Mission TX area. Stop by our location on North Conway Avenue so we can get to know you better. You will always be treated with courtesy and respect.